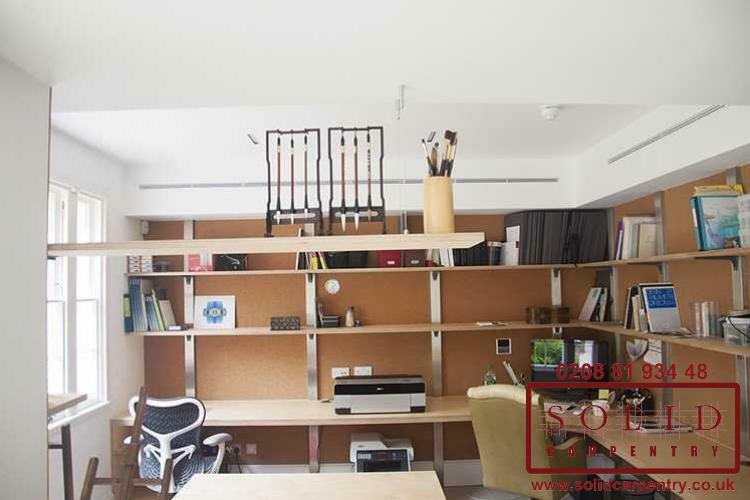 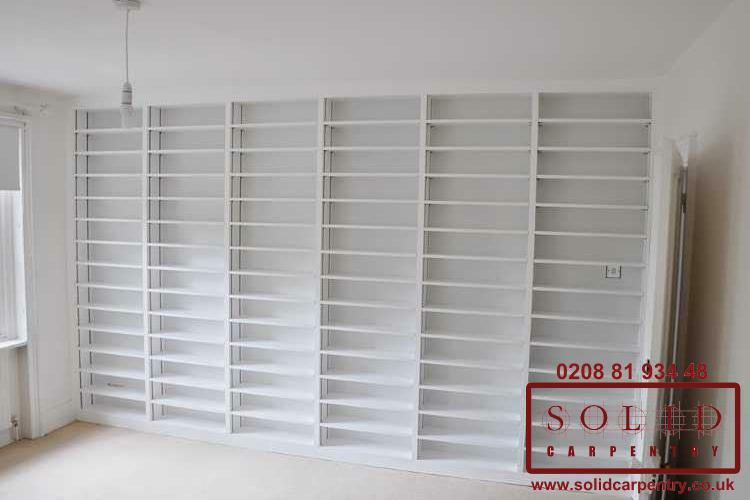 Are you struggling to find ready-made shelves to fit a particular space, or simply need to create more room to store your books and personal possessions? 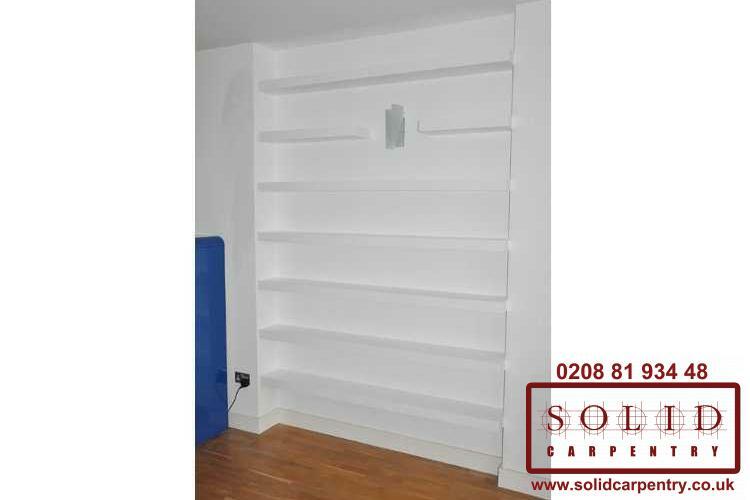 Then why not opt for bespoke shelving units? 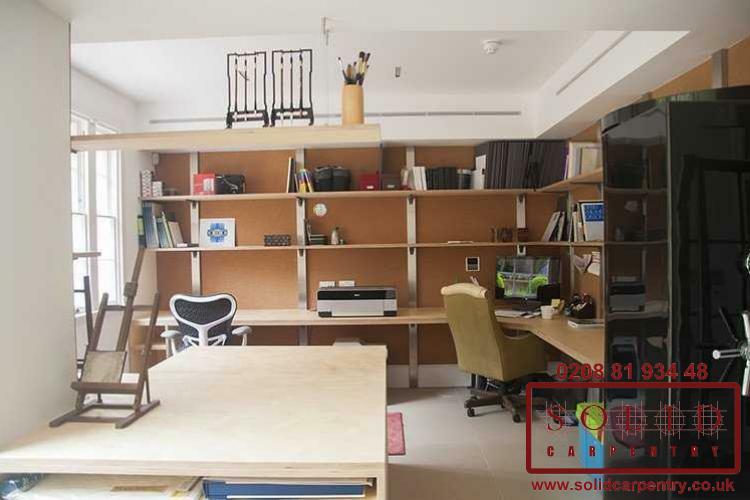 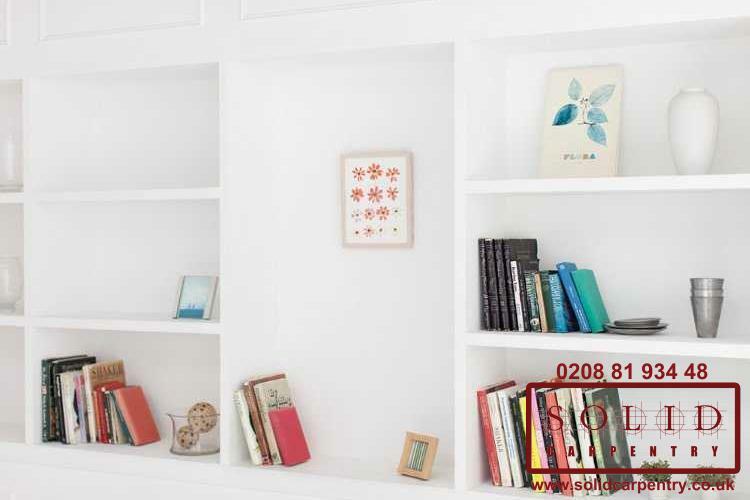 Whether you’re looking to add value to your home or office space by incorporating more storage space, or you simply want to improve the appearance of the room by adding a touch of style to your walls, we can develop a practical solution for you. 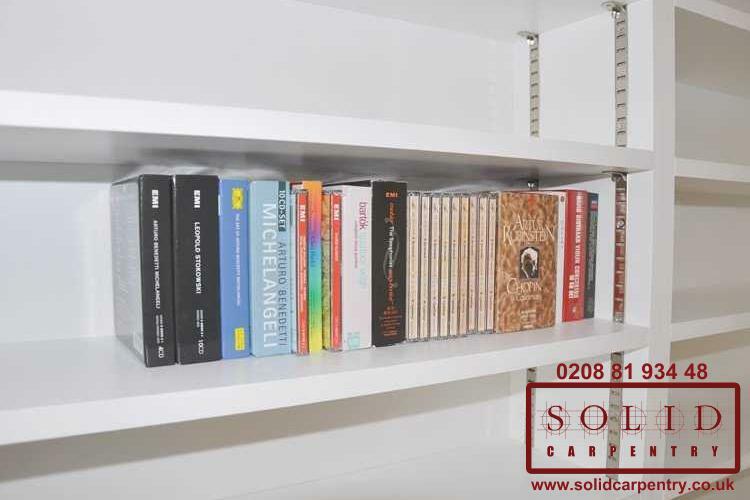 Whether its books, vinyl/CDs, or a miniature car collection, we can create bespoke shelving to maximise on your available space and present your possessions in a visually pleasing way. 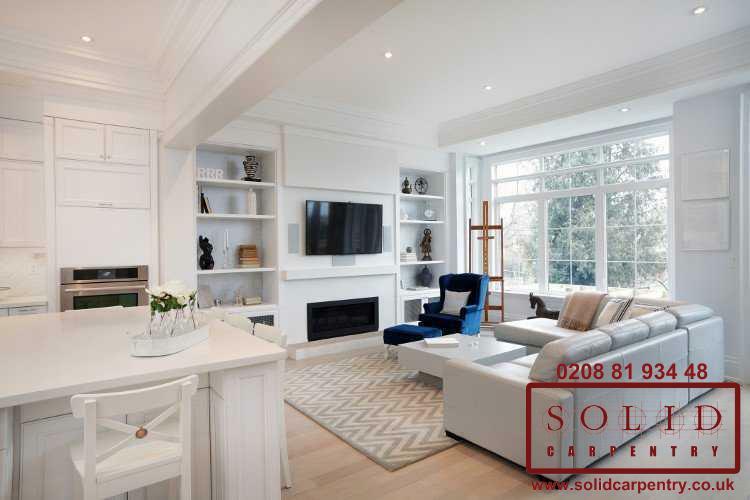 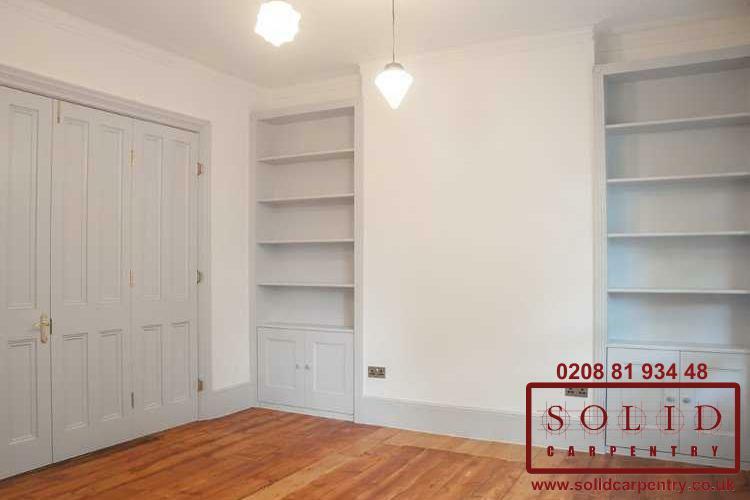 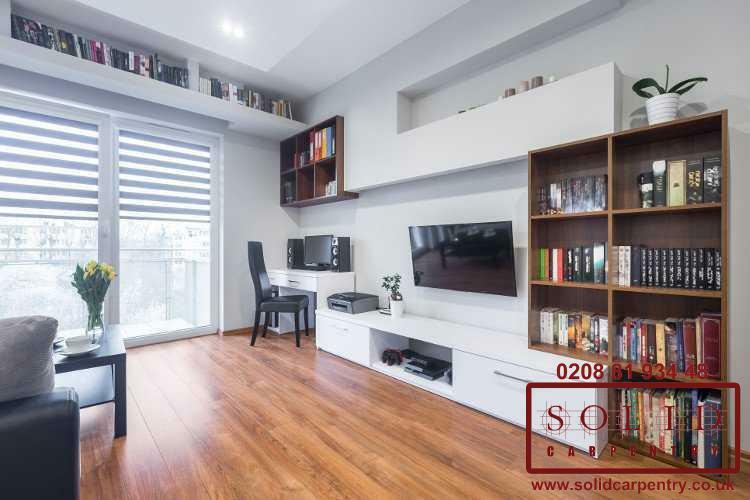 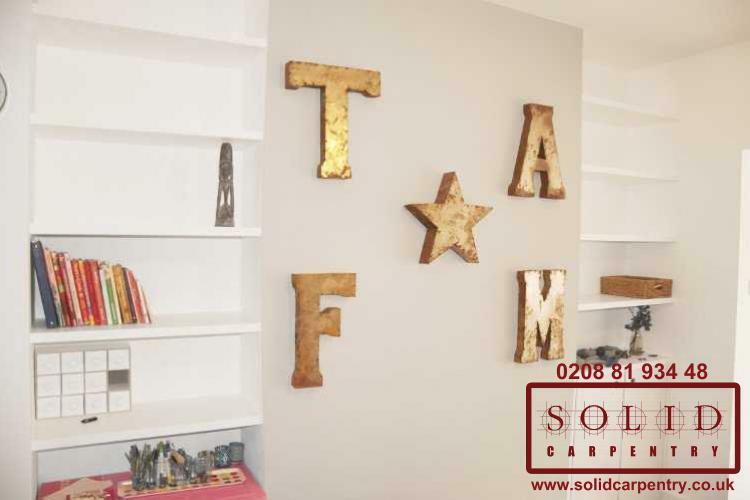 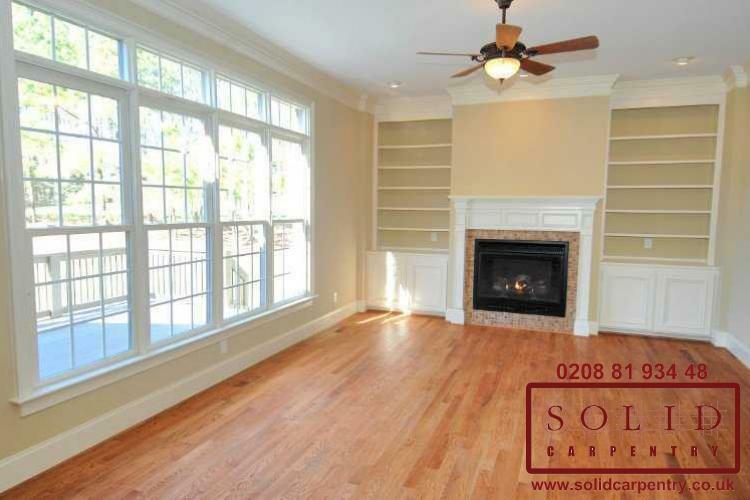 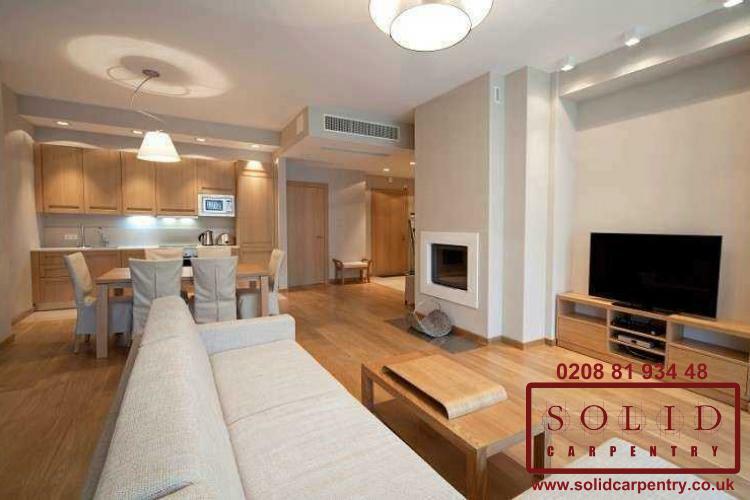 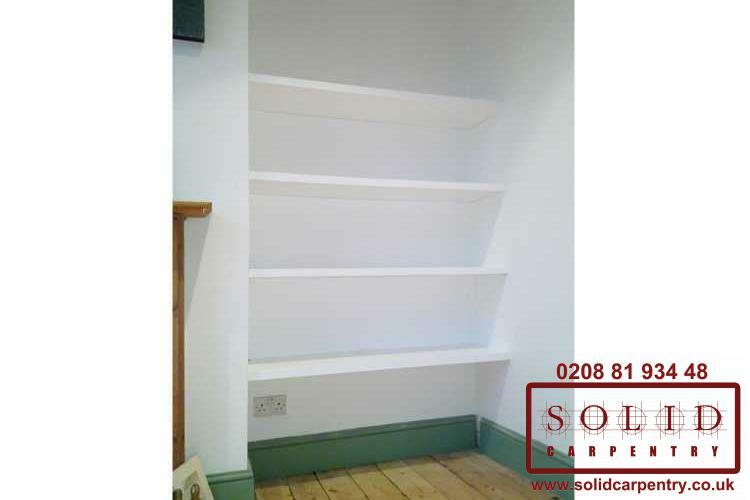 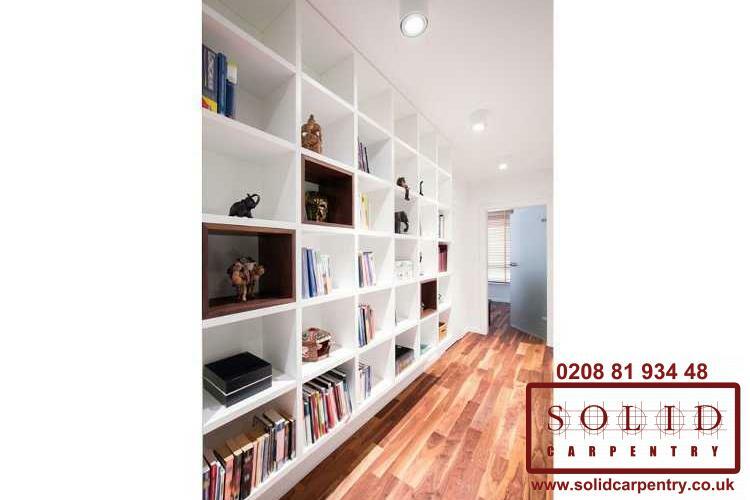 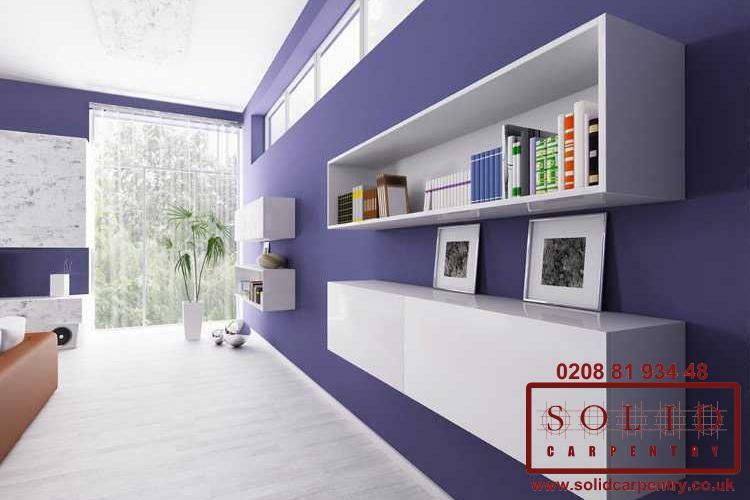 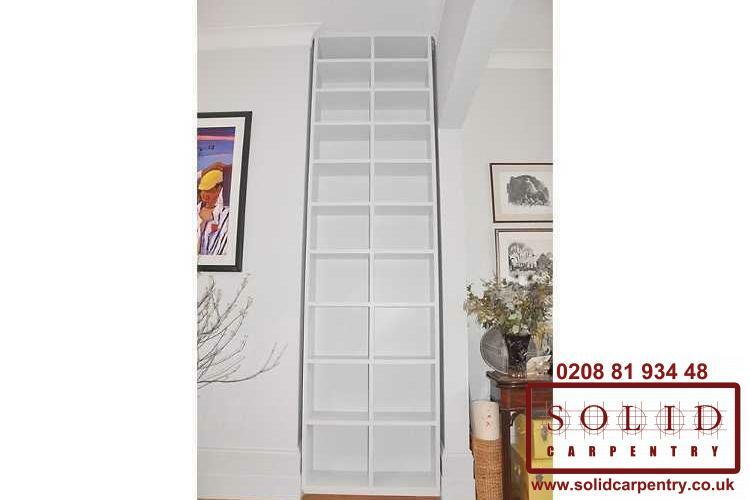 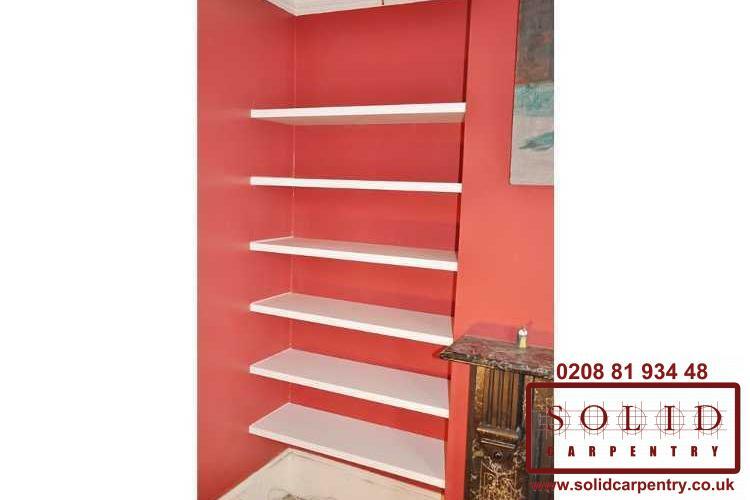 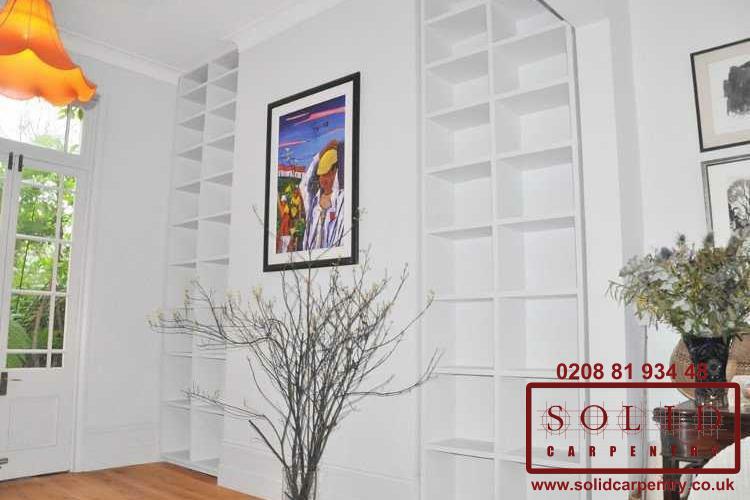 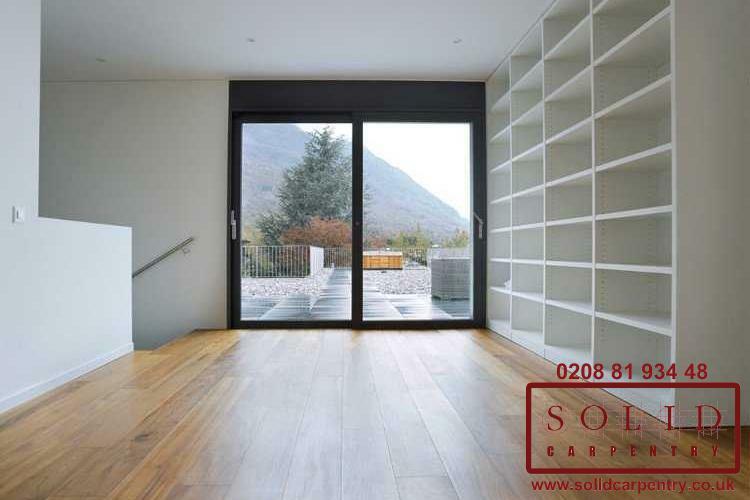 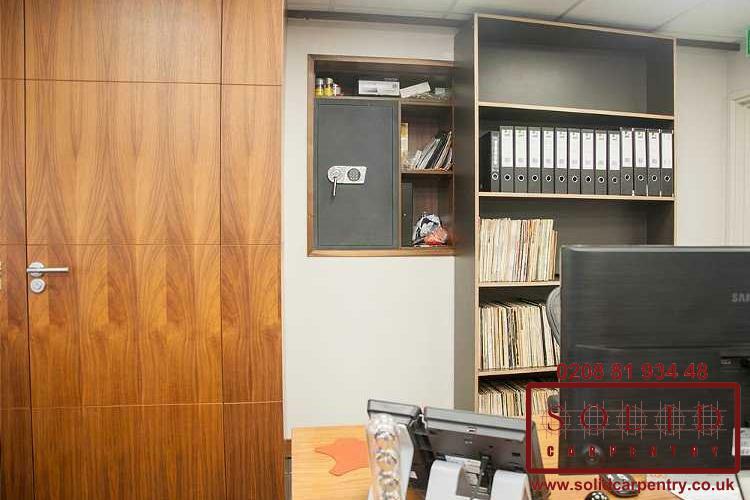 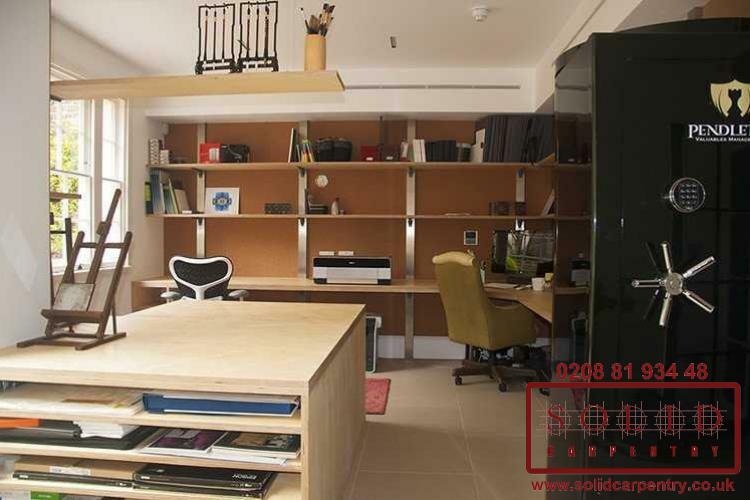 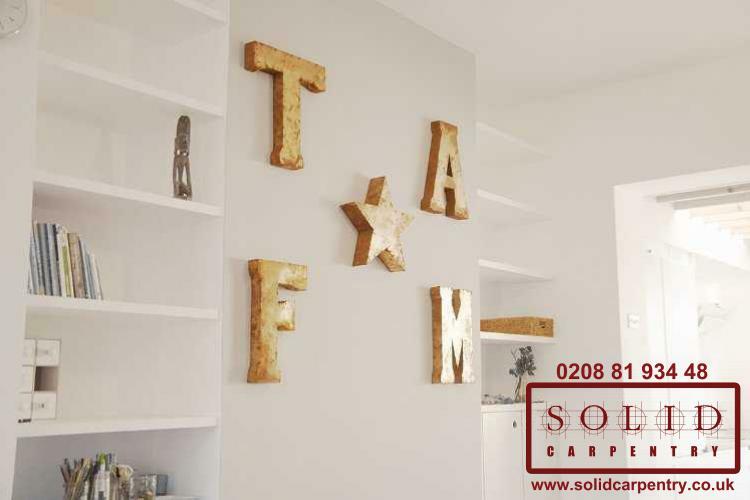 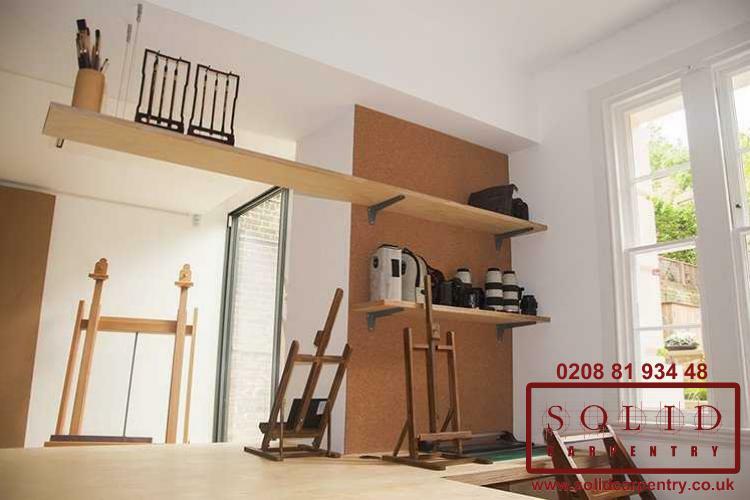 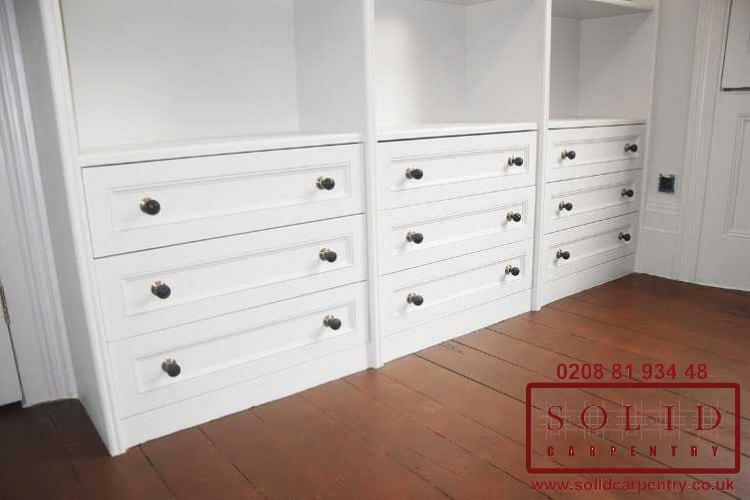 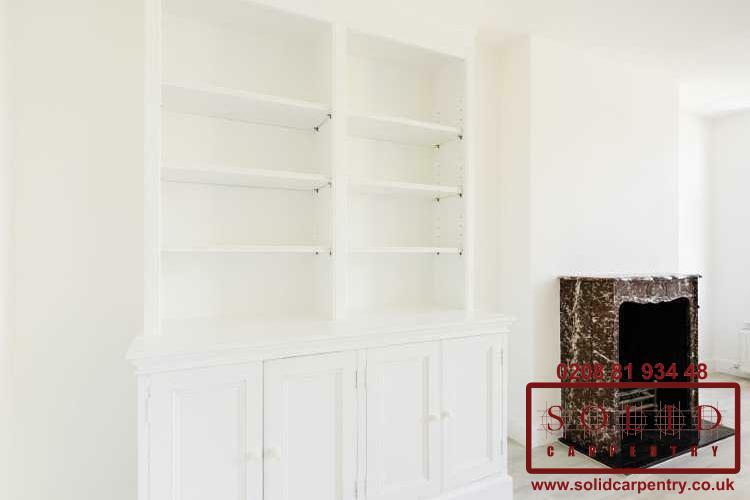 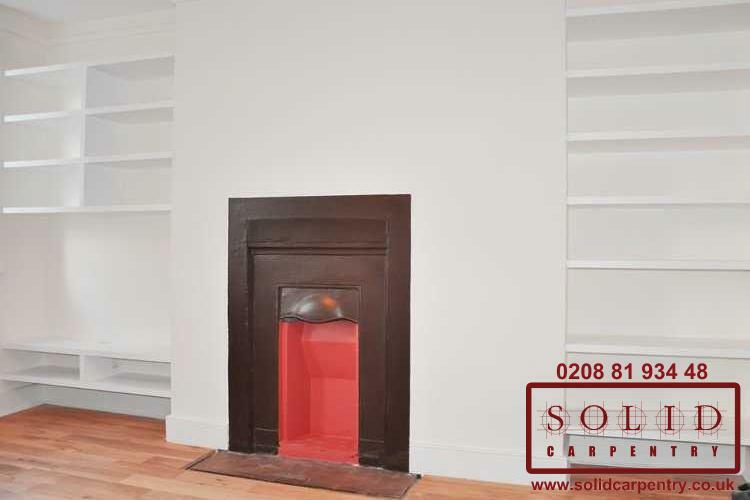 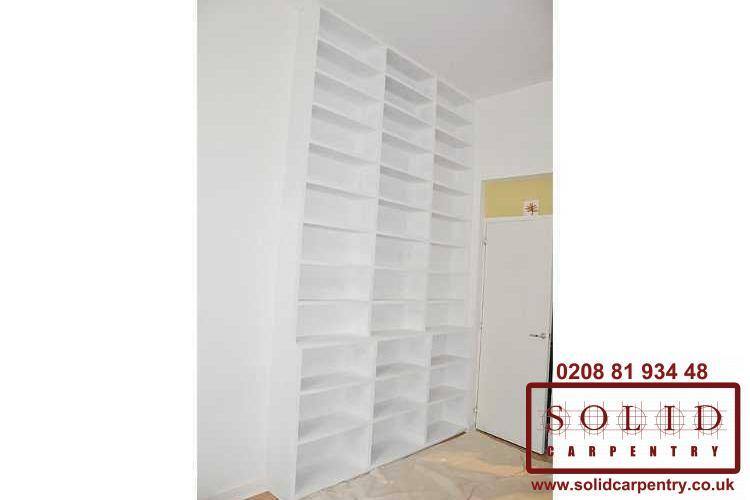 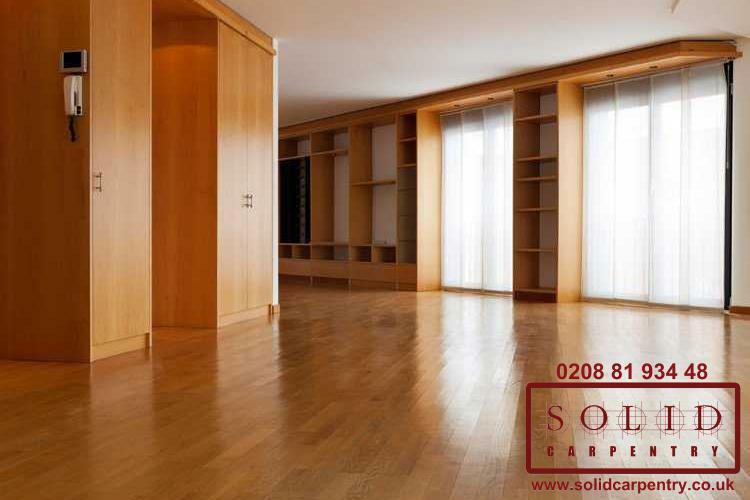 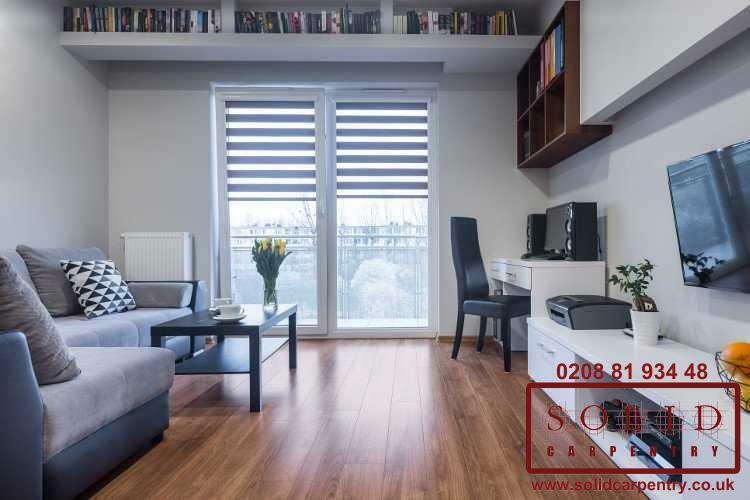 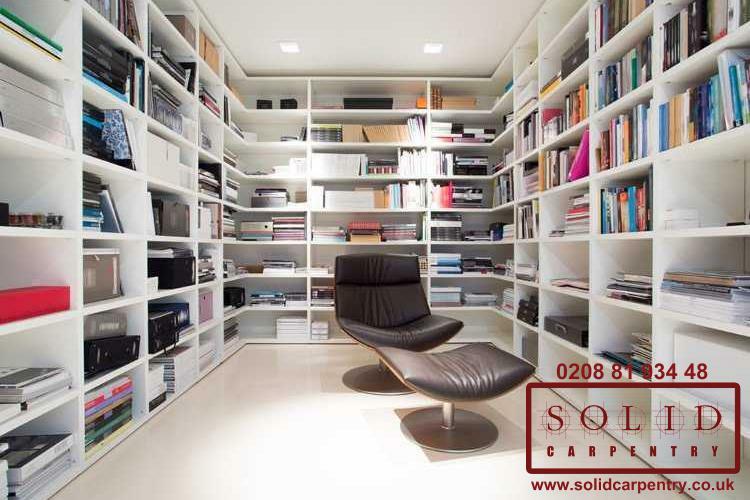 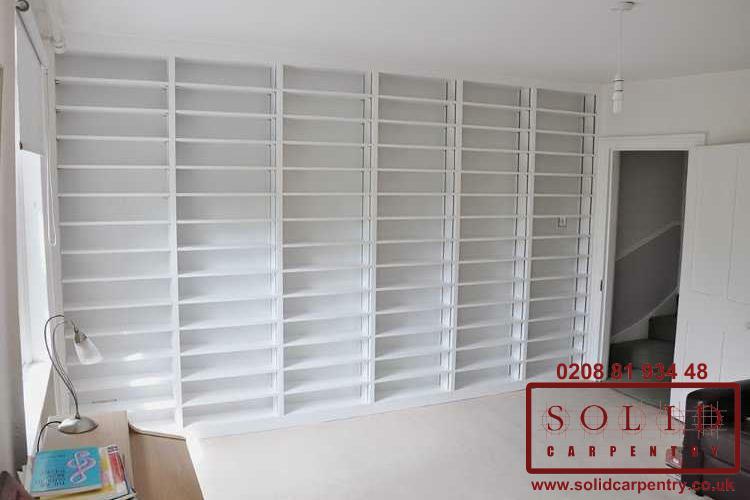 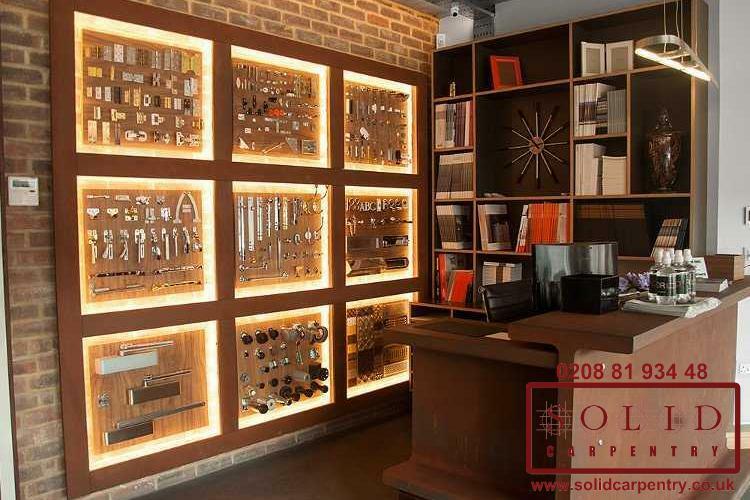 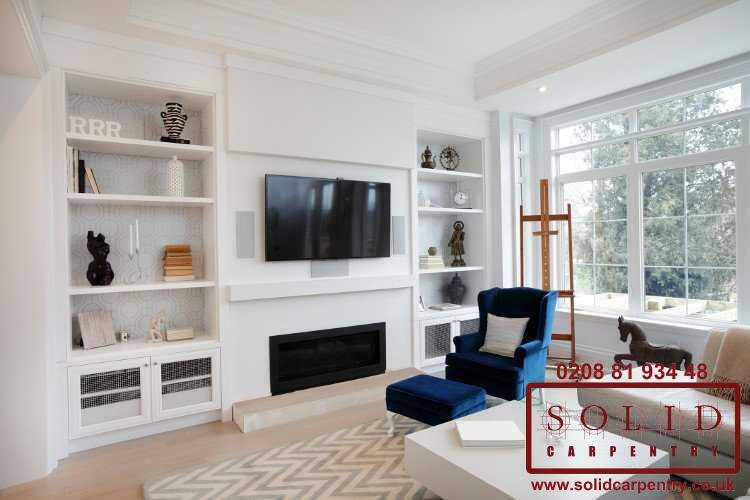 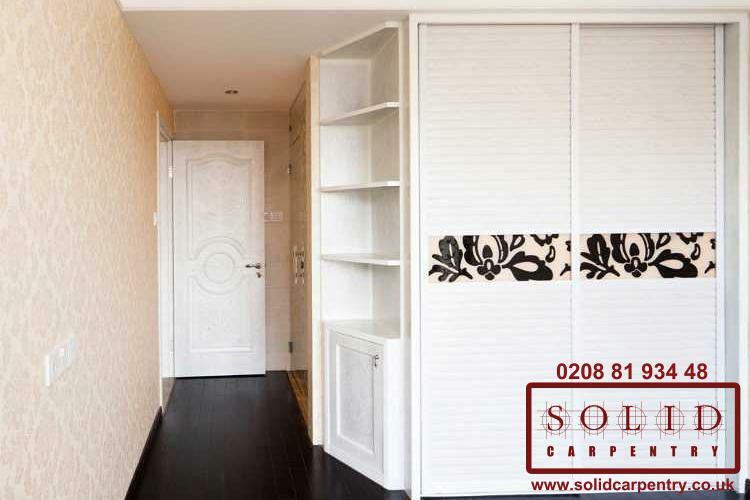 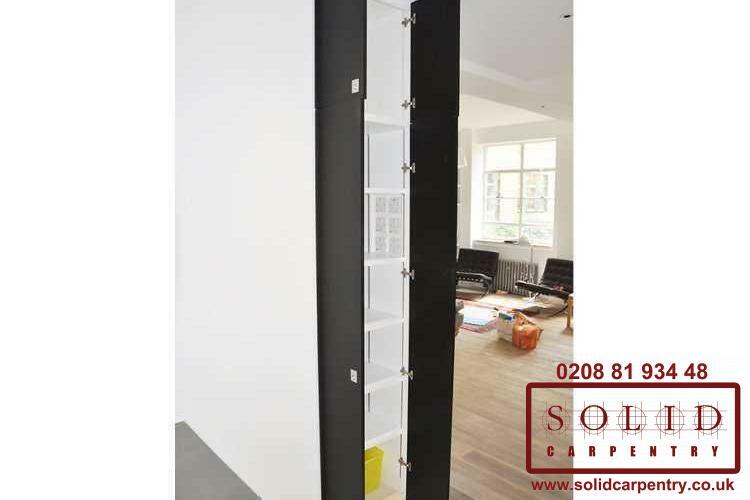 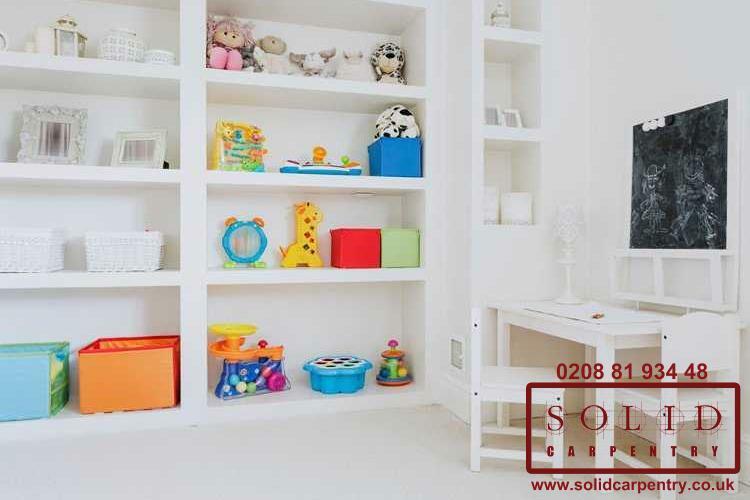 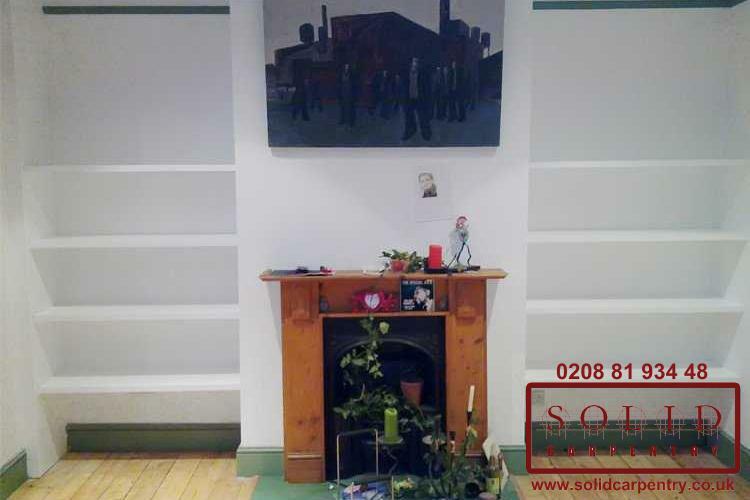 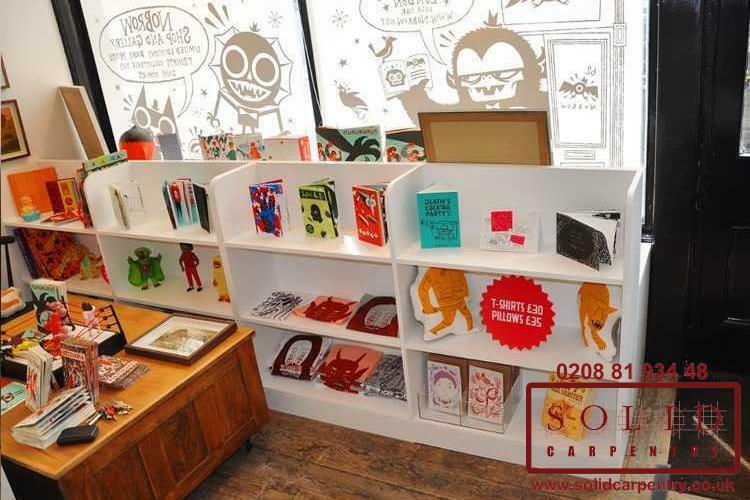 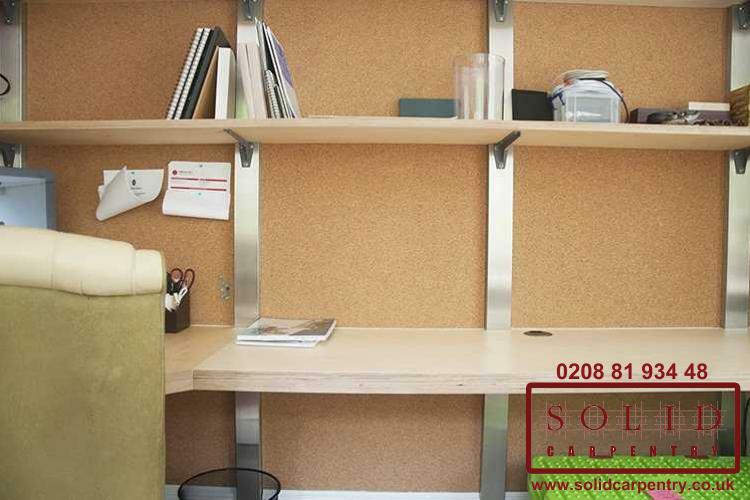 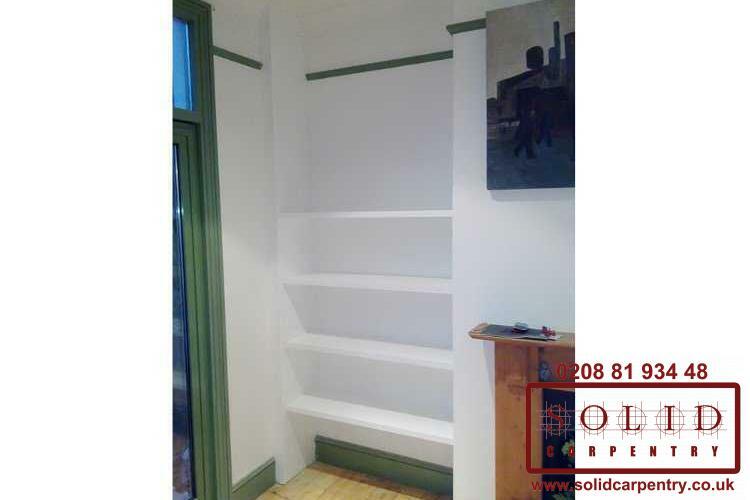 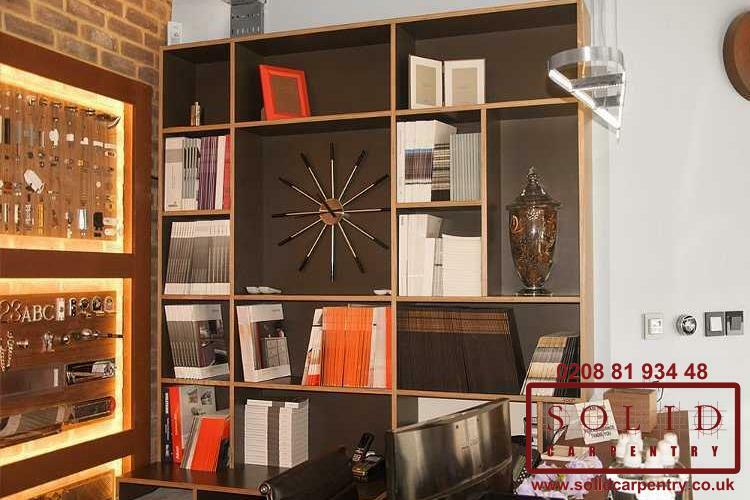 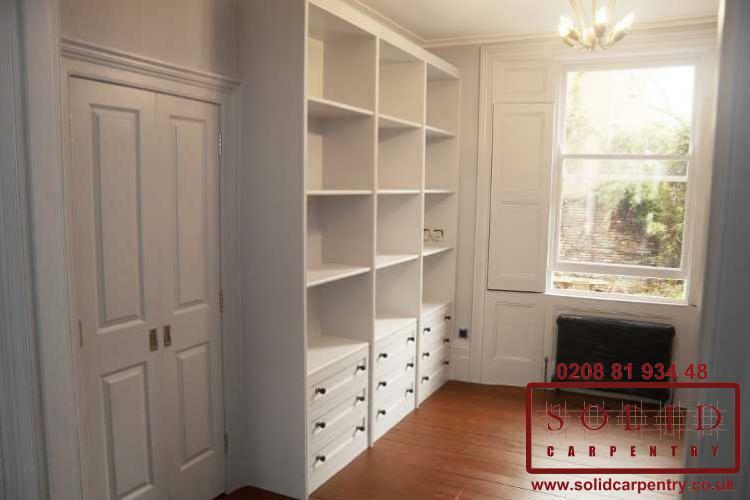 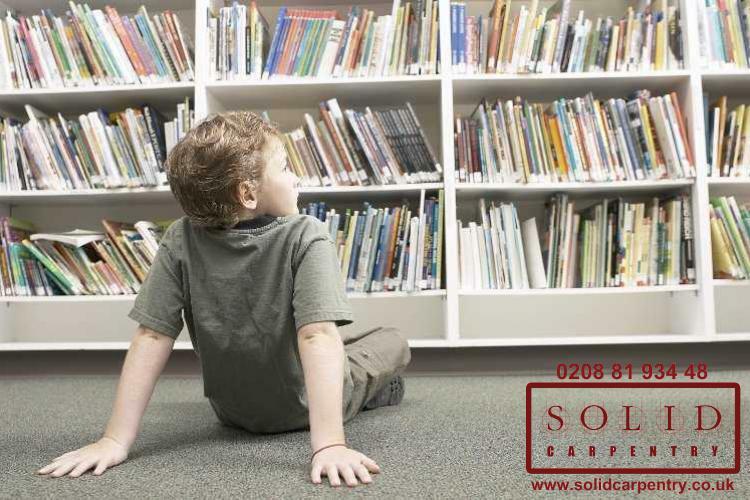 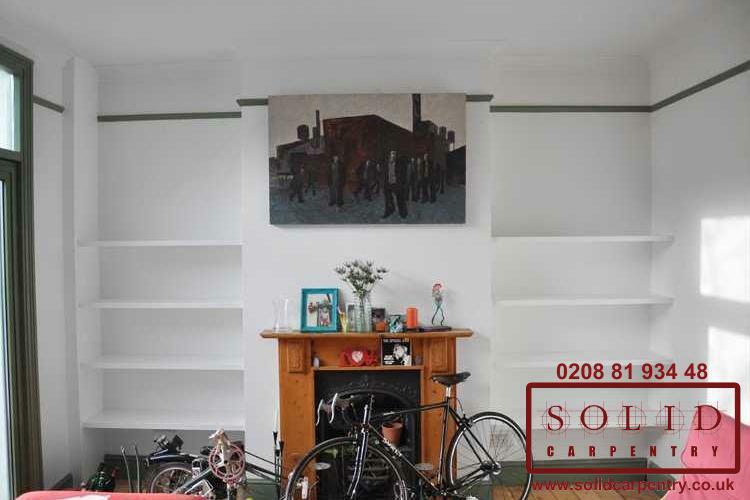 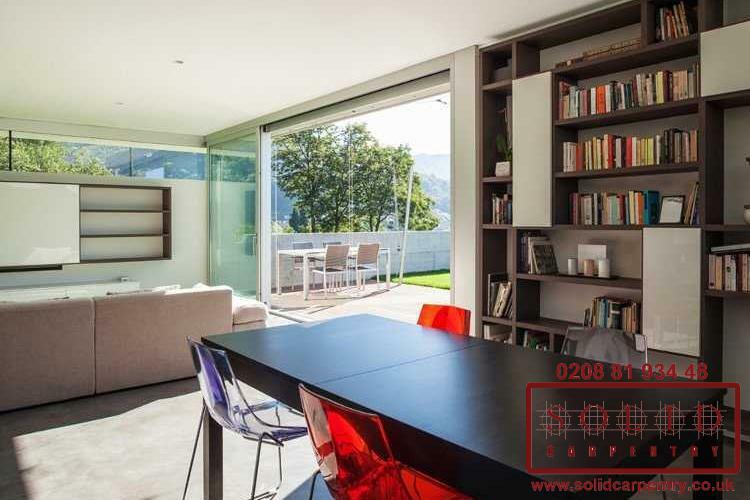 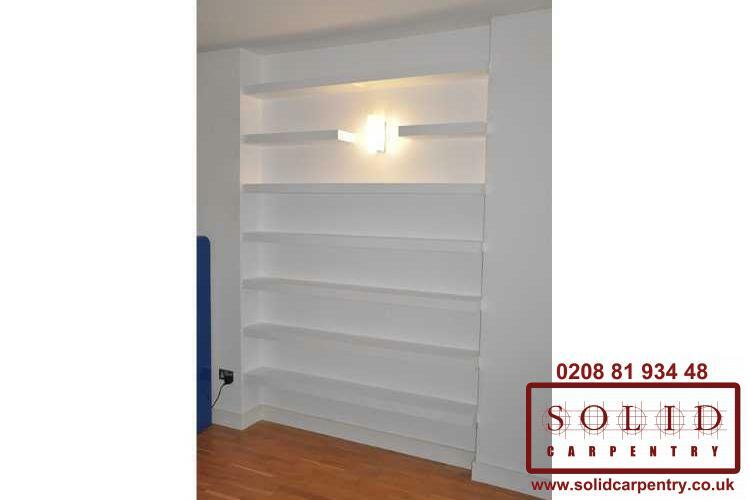 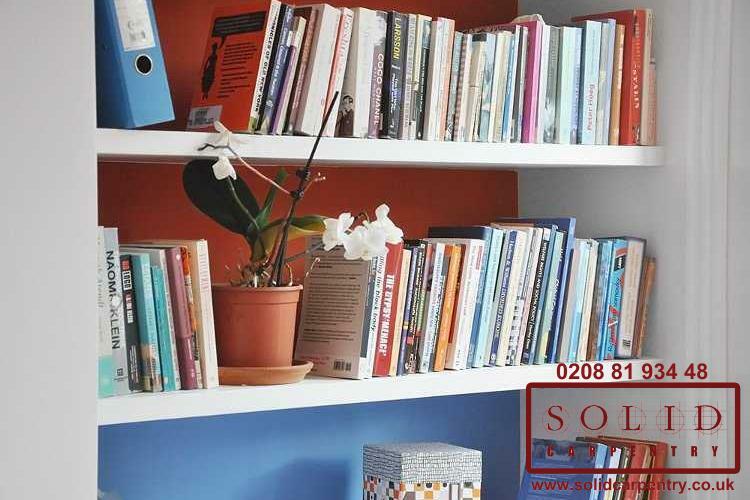 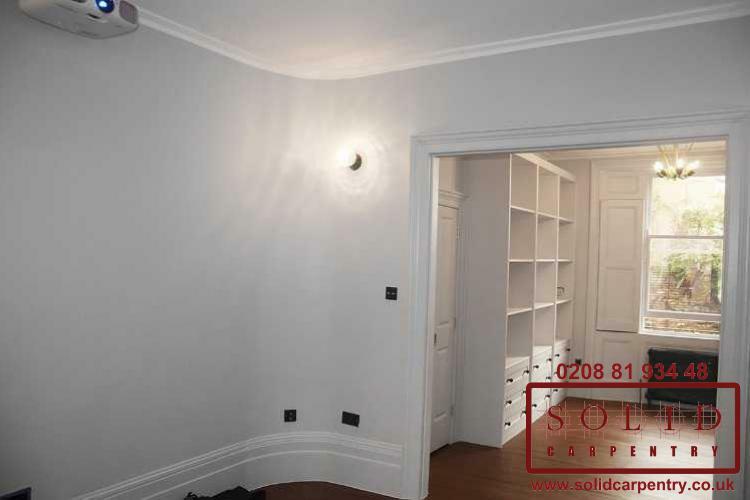 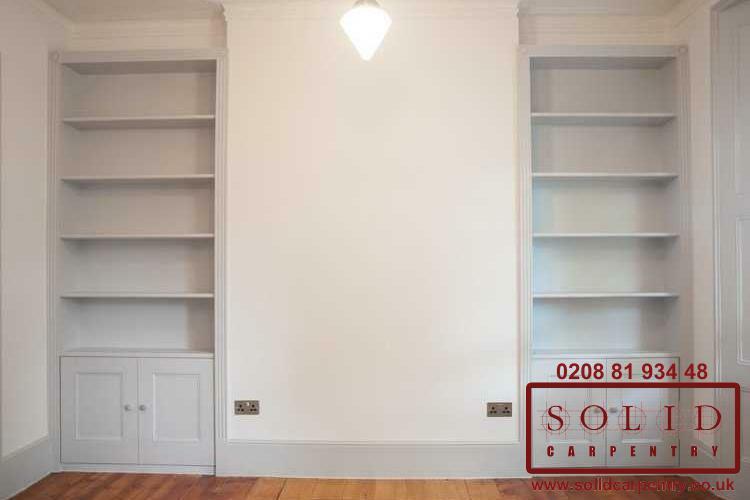 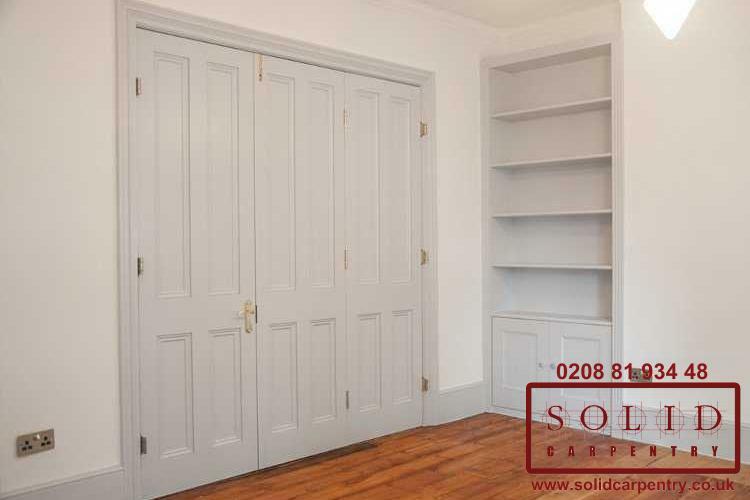 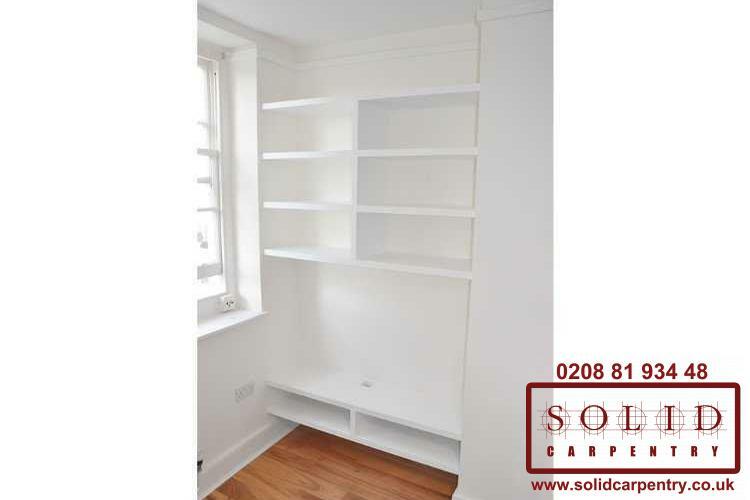 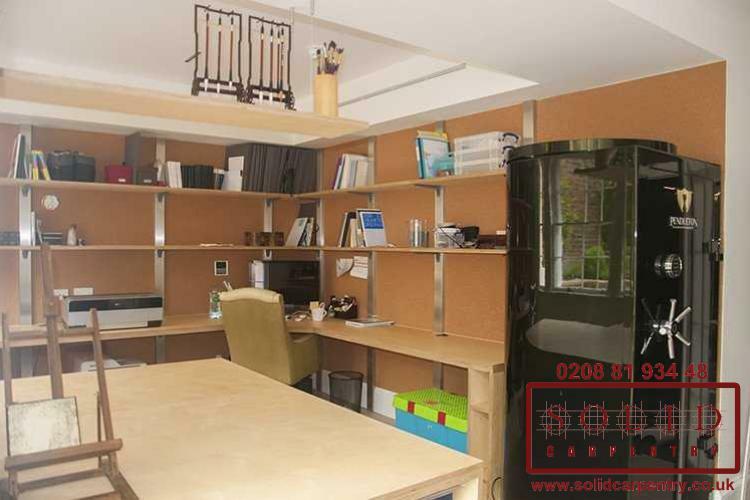 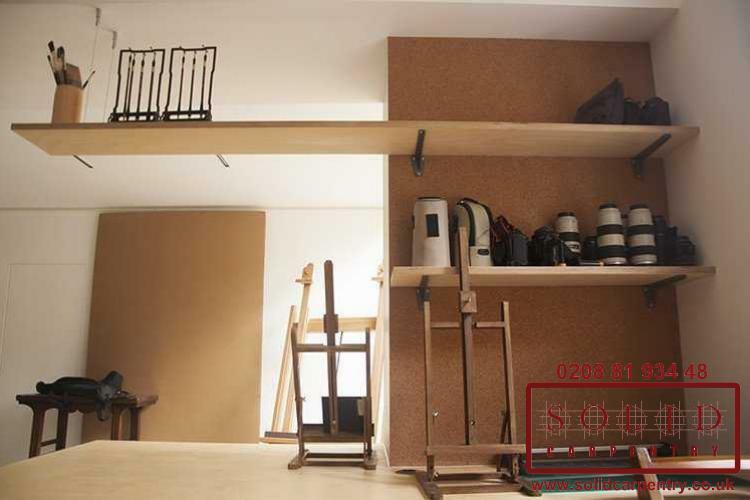 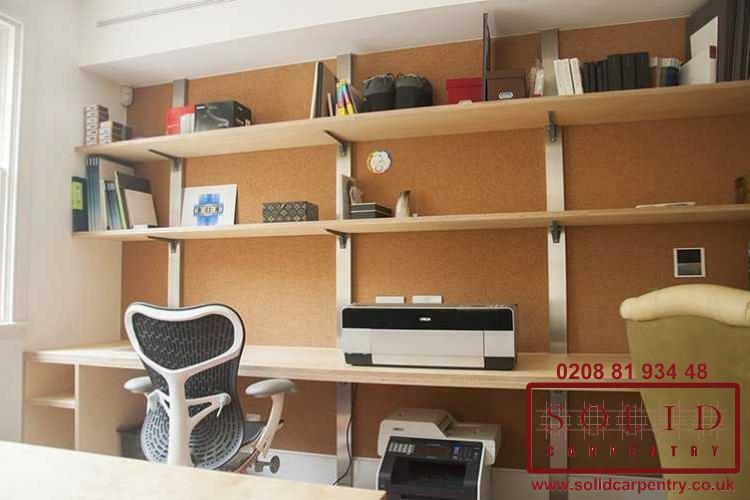 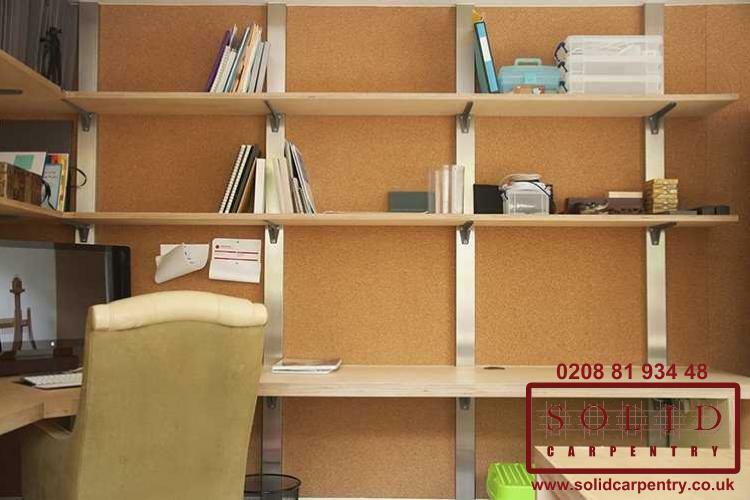 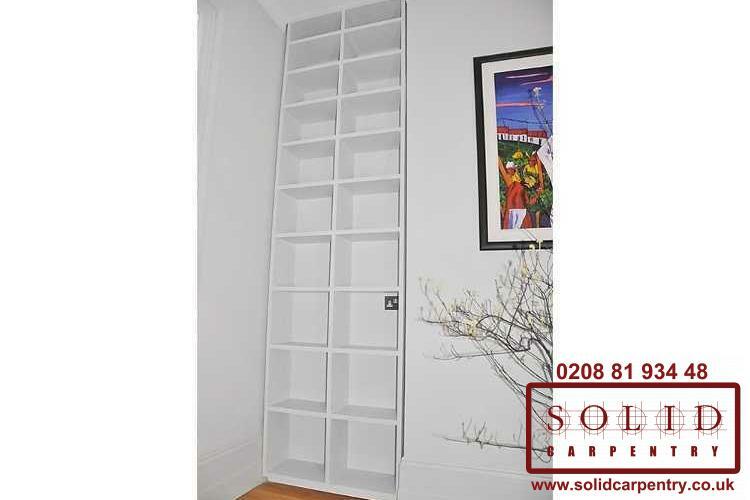 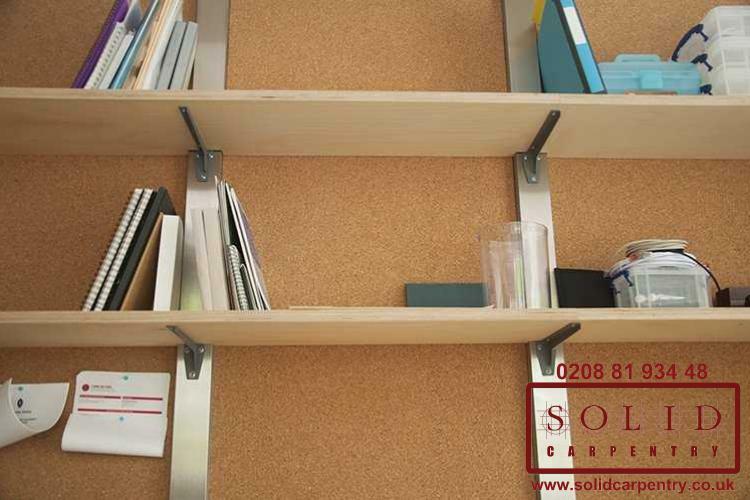 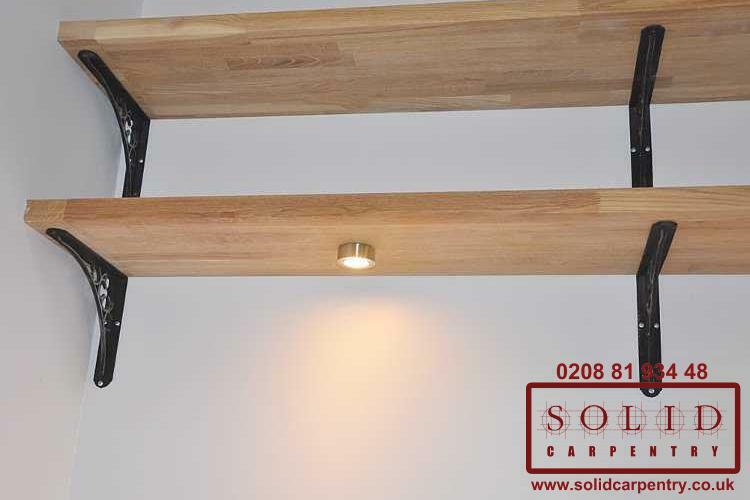 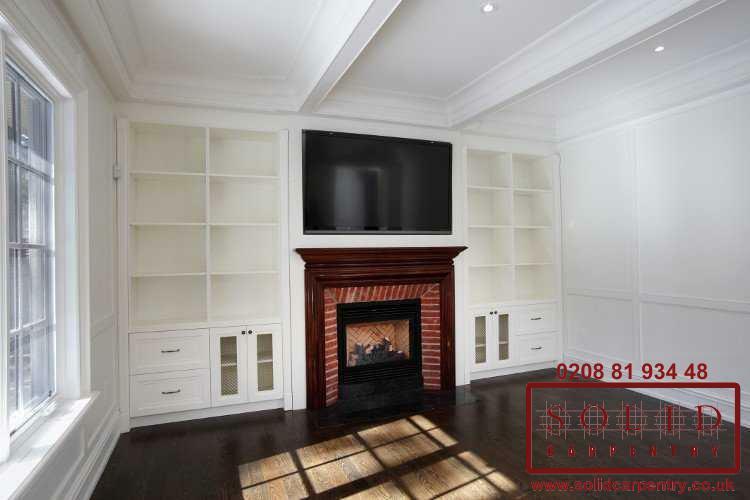 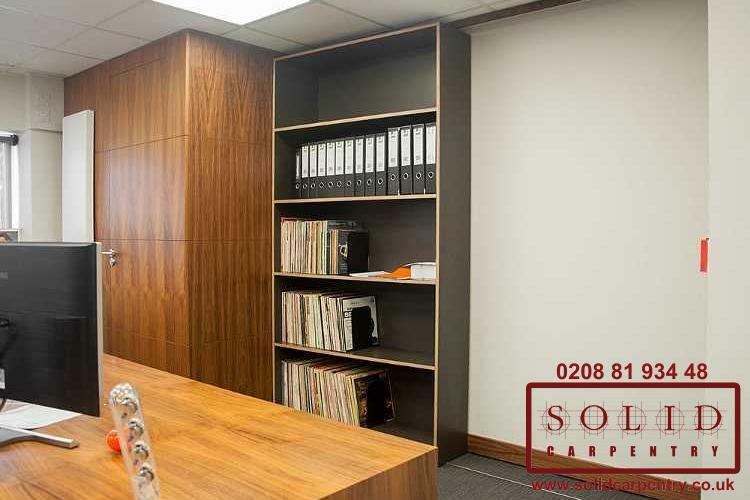 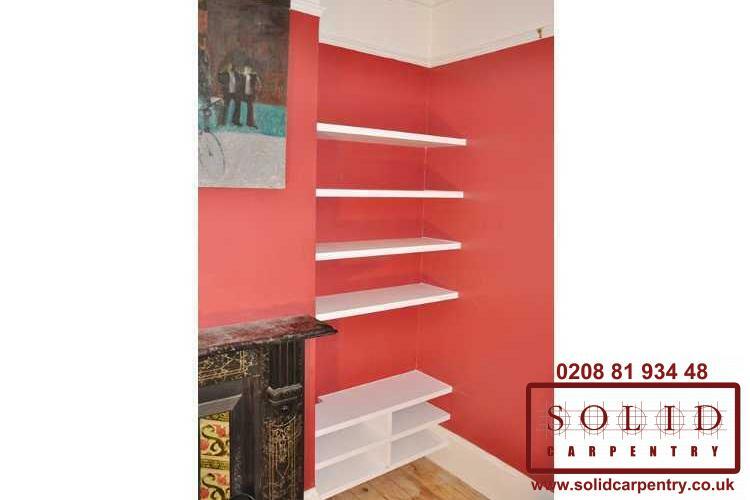 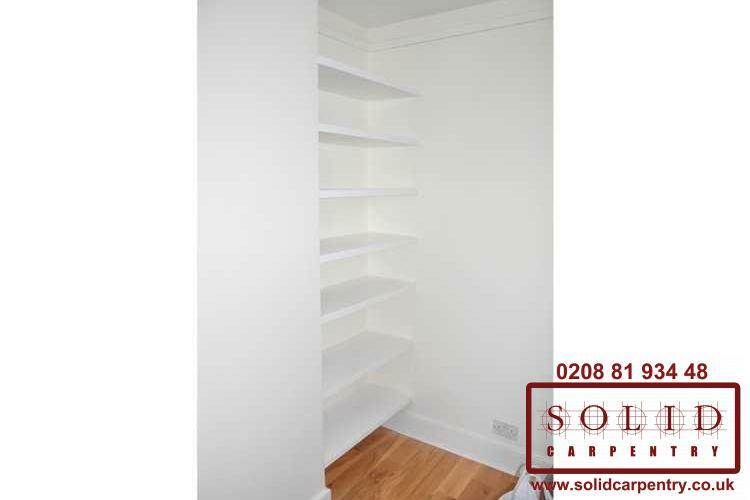 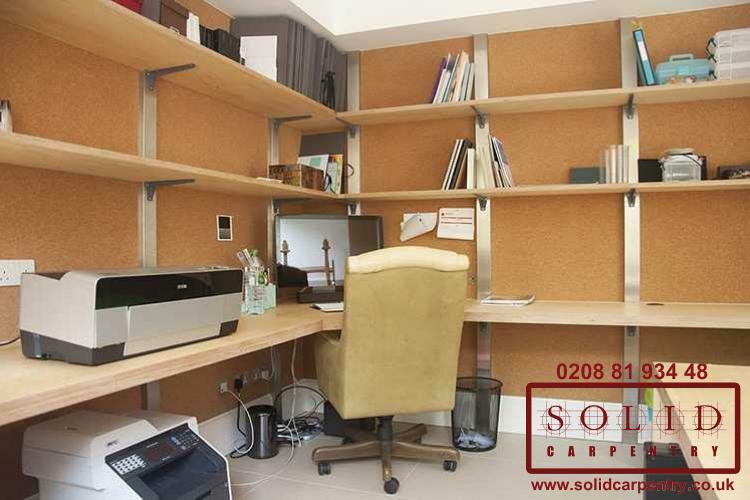 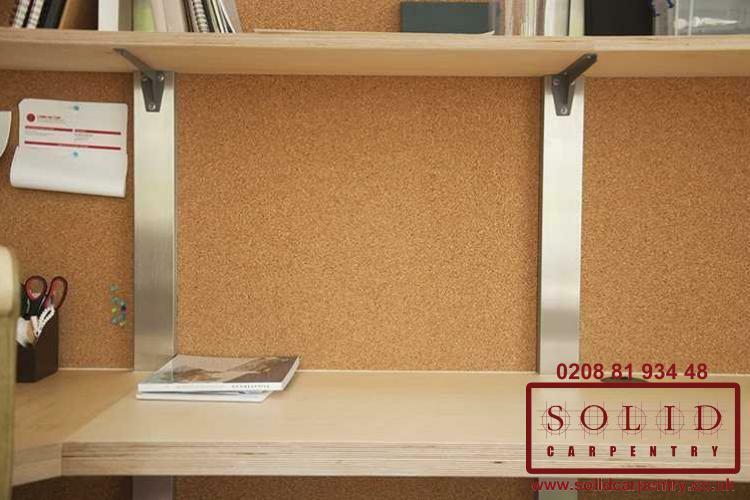 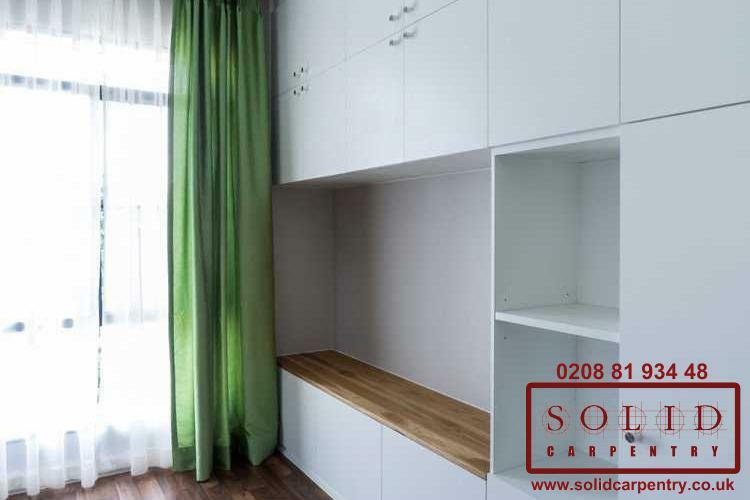 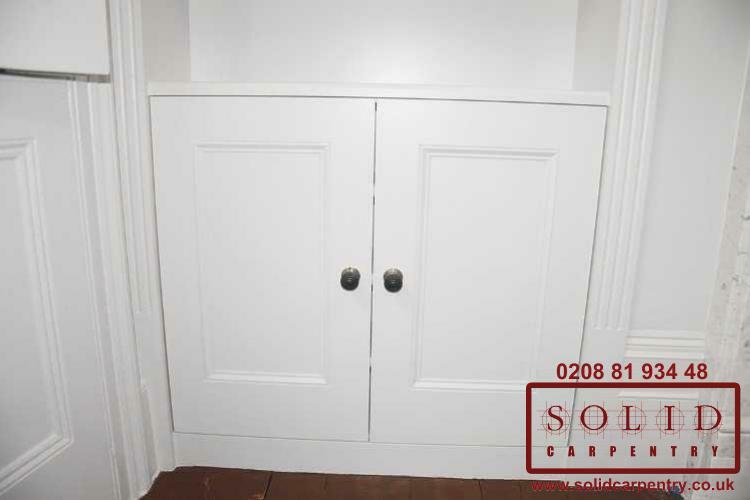 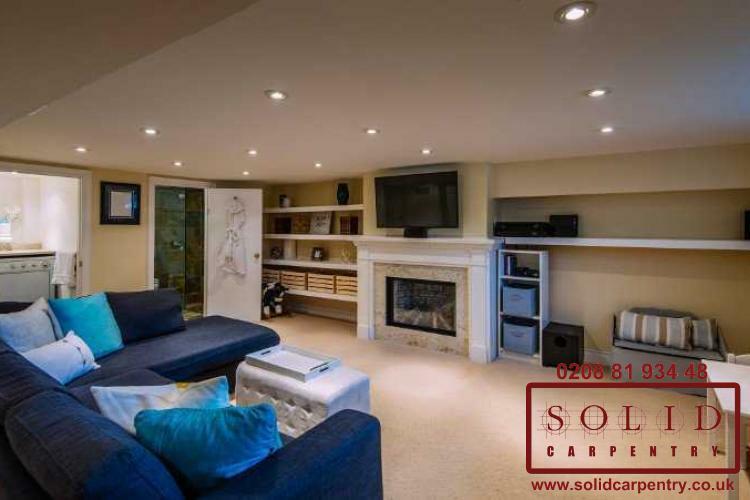 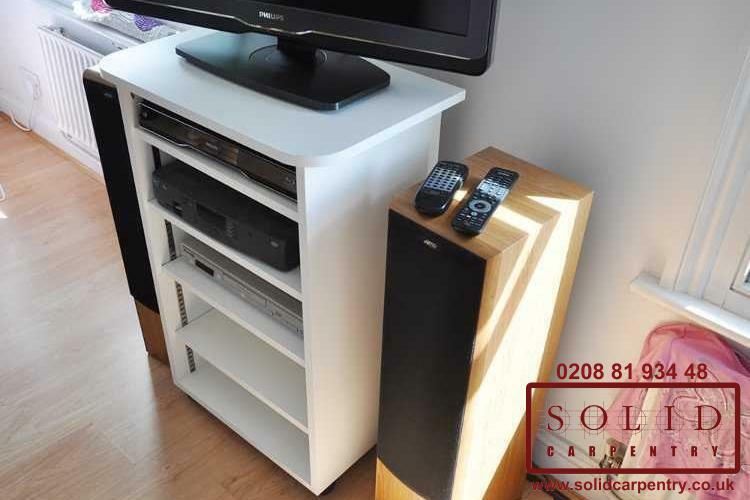 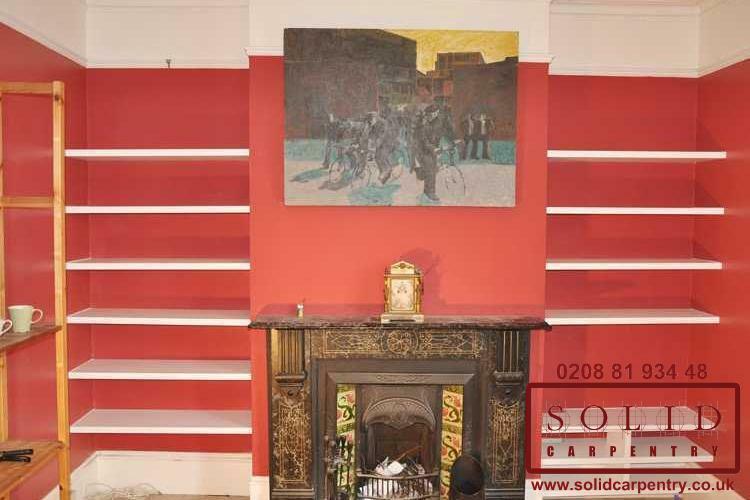 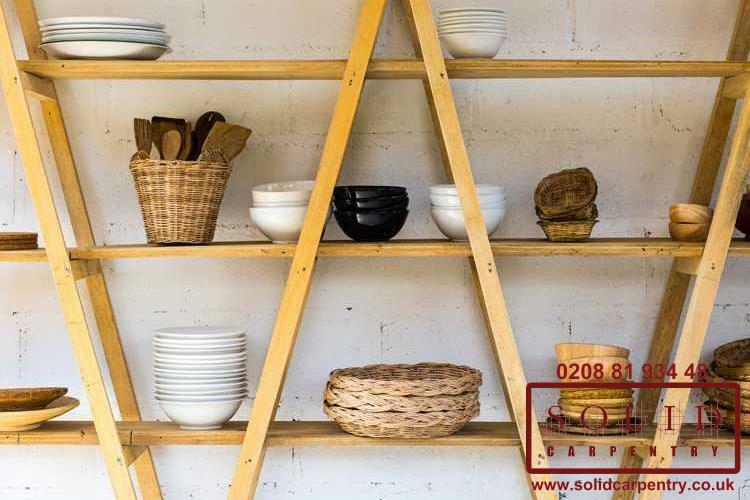 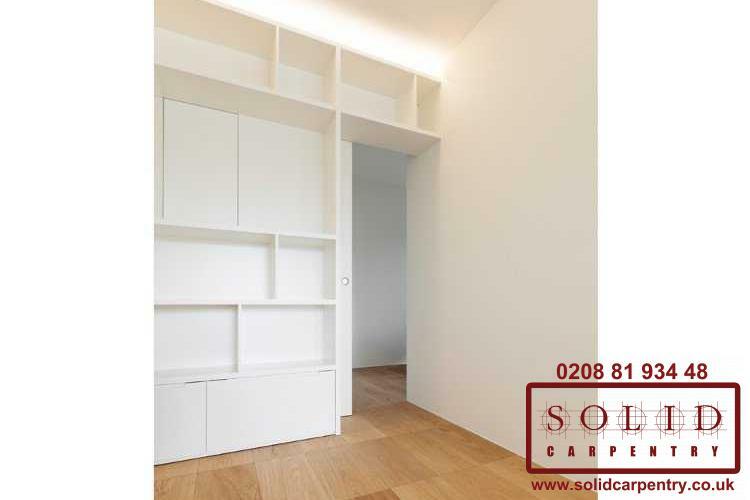 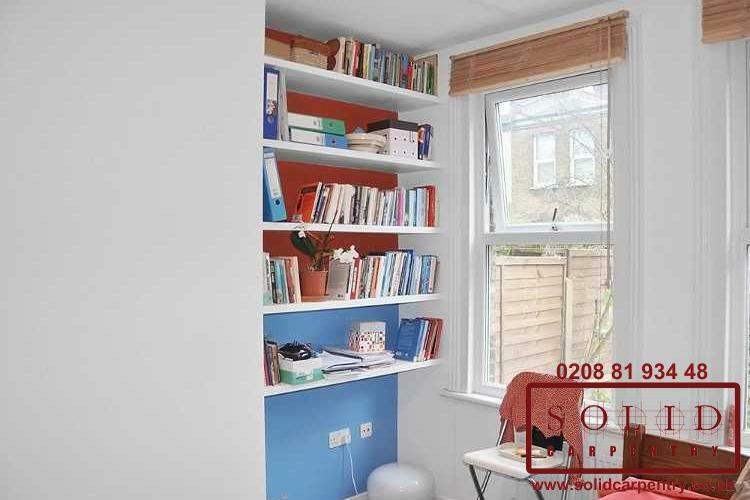 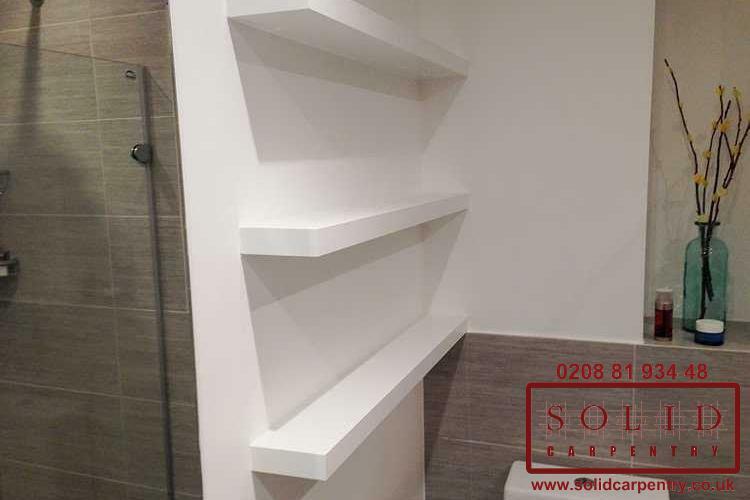 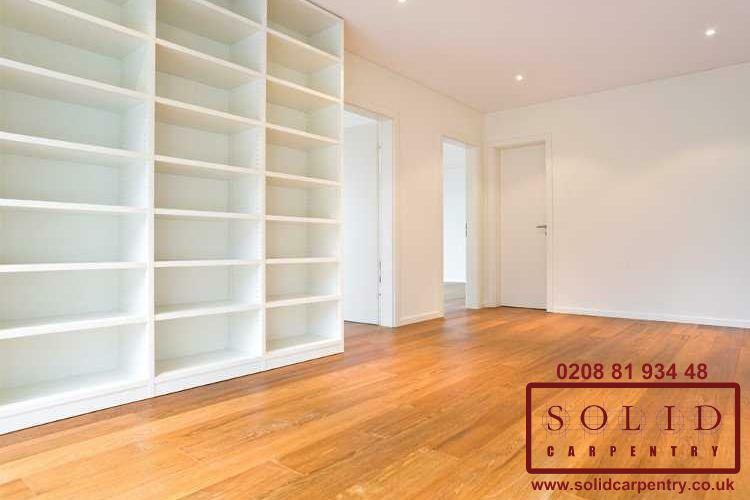 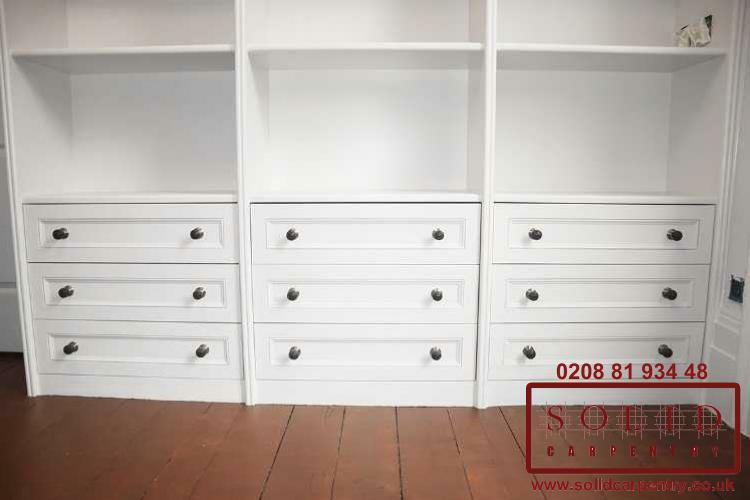 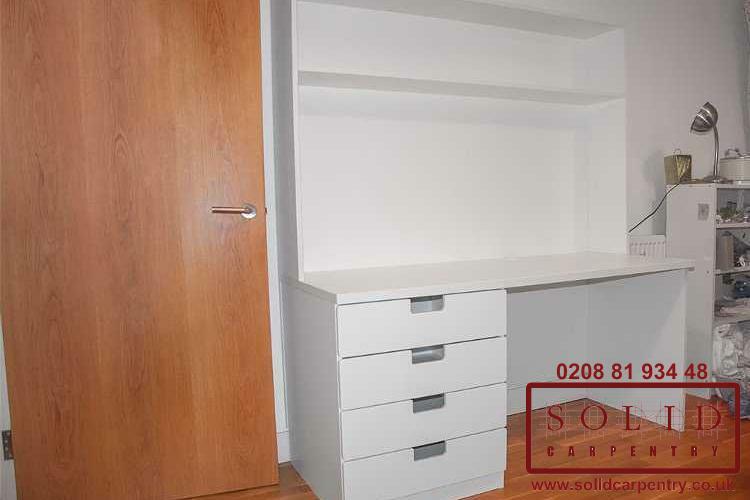 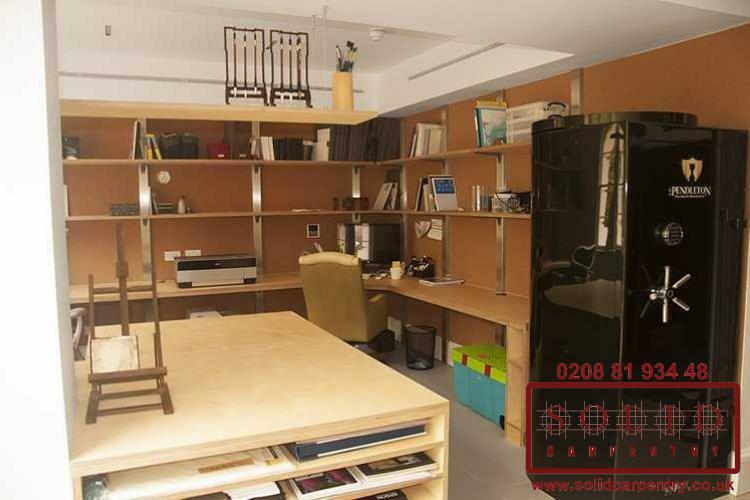 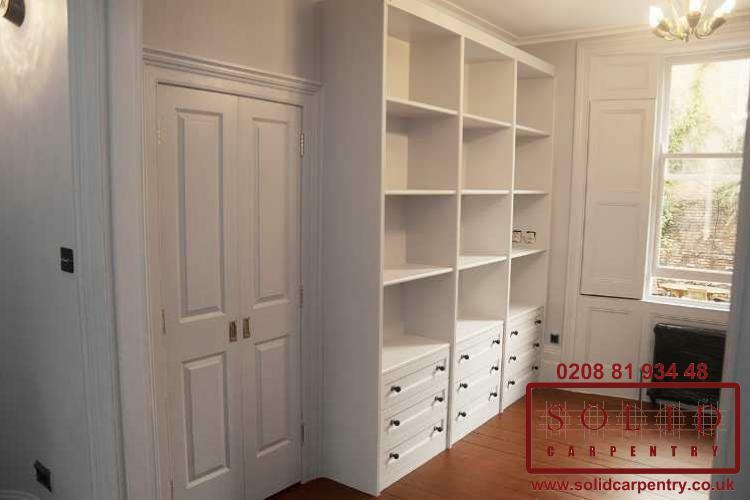 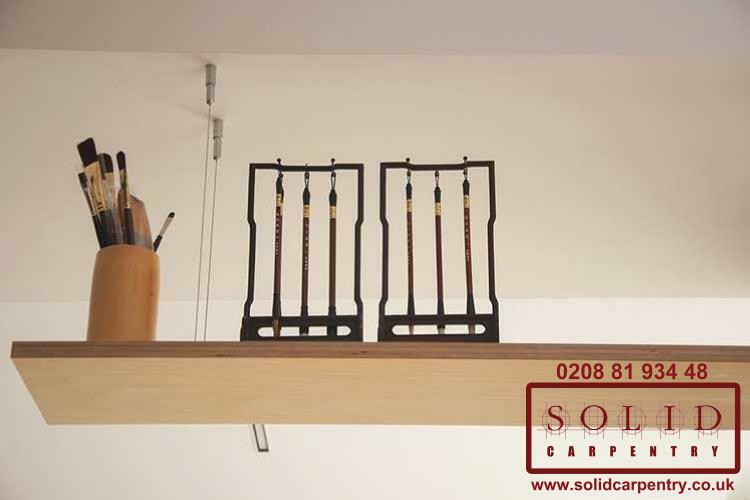 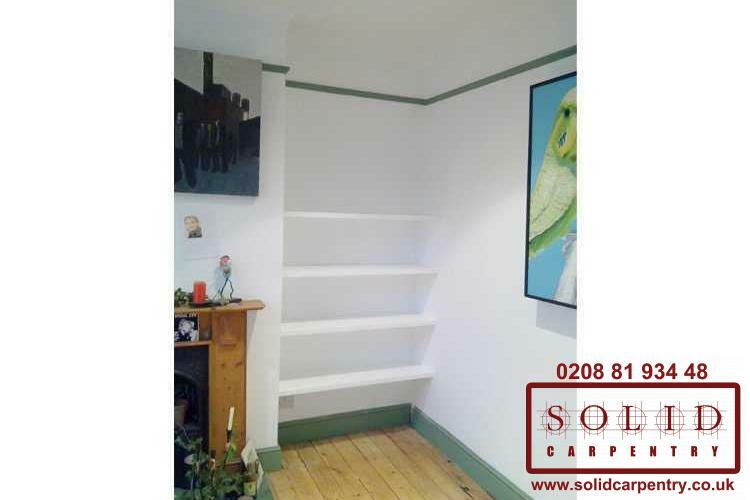 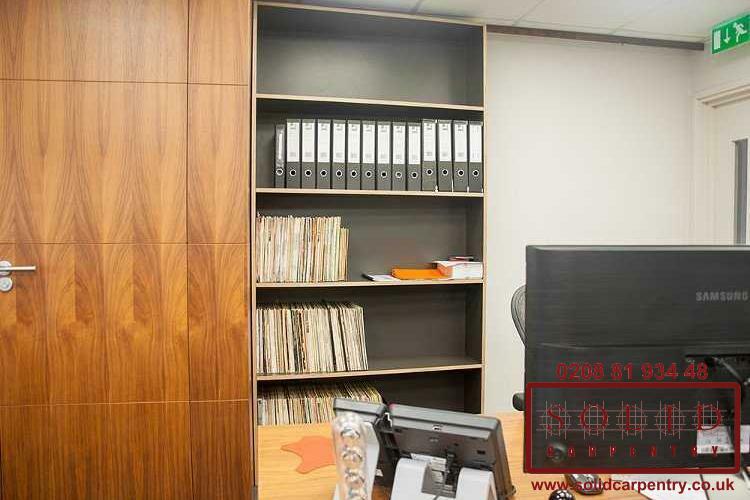 Solid Carpentry has many years of experience and we have built hundreds of bespoke shelves in many different homes and businesses across London and the surrounding areas, from small alcoves to large garage spaces: no project is too big, too small or too complicated for our team of highly skilled carpenters. 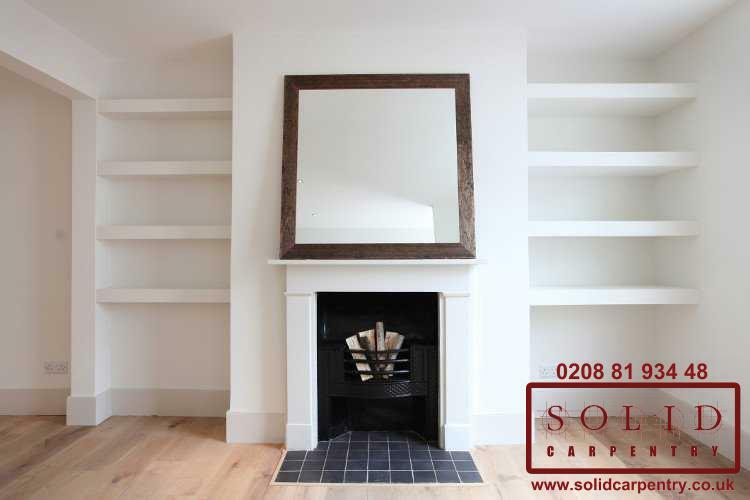 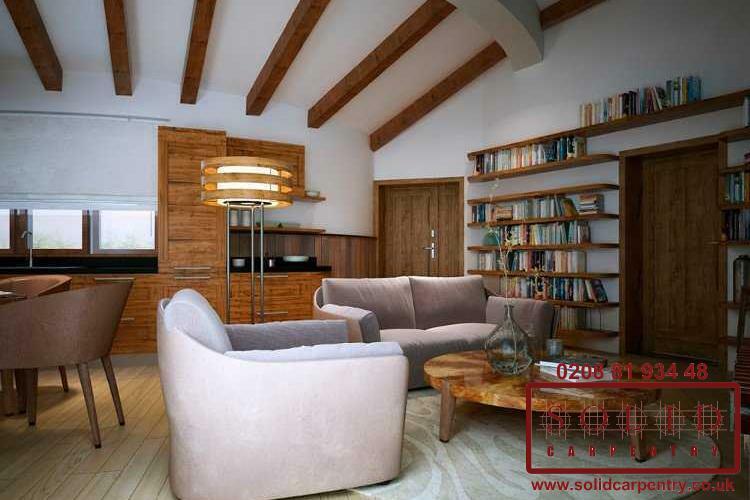 We offer many types of finishes and can provide expert design advice where needed. 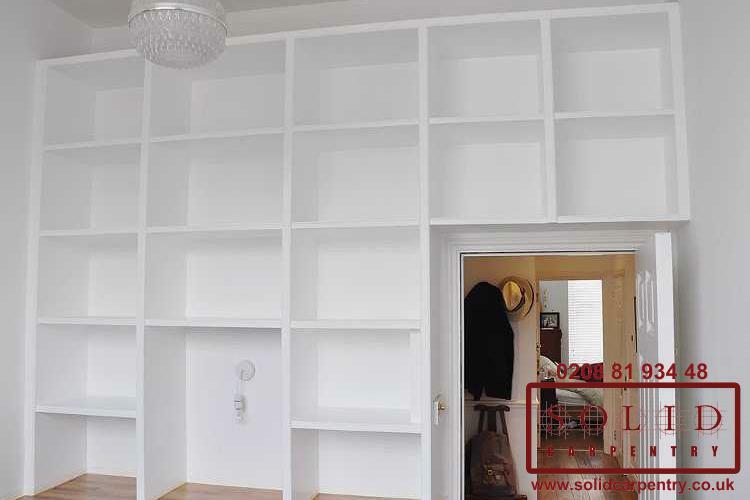 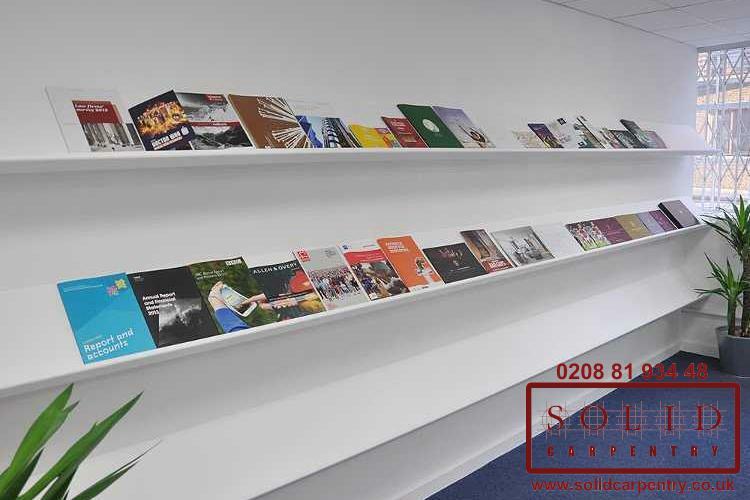 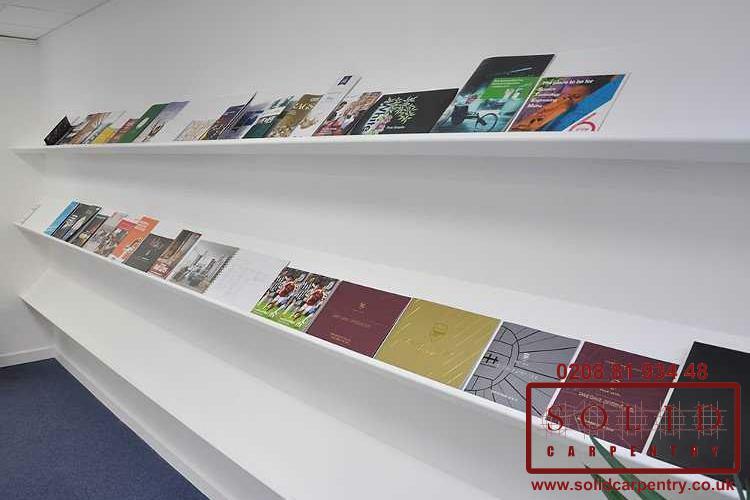 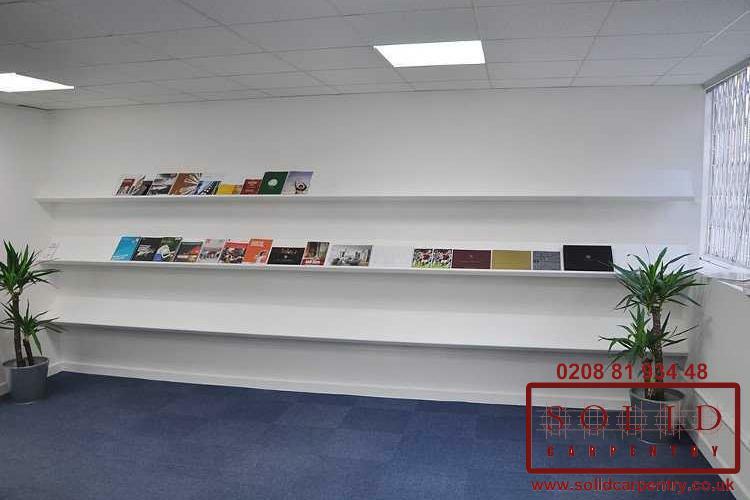 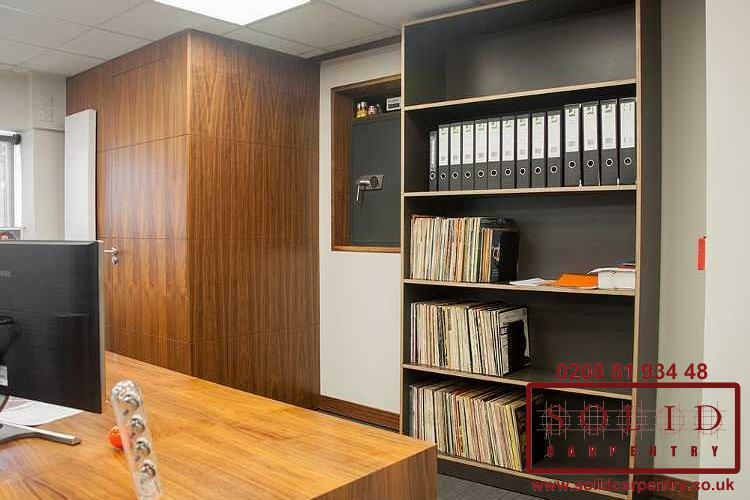 To see some examples of our work, take a look at our portfolio of past projects where you can see just how much a bespoke bookcase - tailored to the customer’s needs - can add value to any size room or business space. 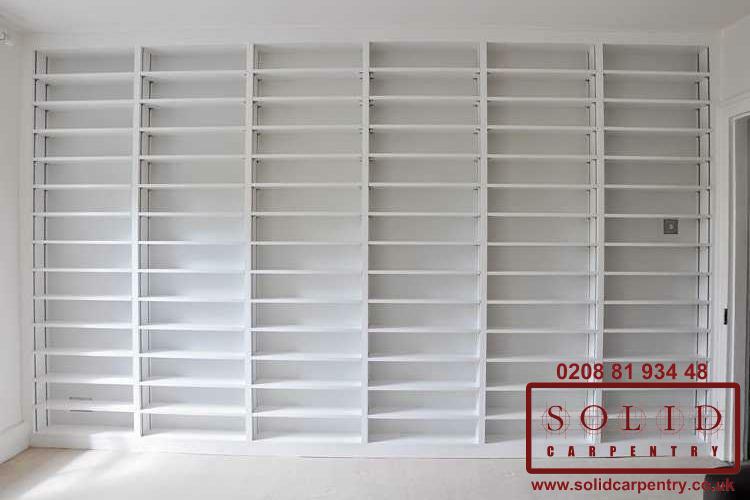 While there are many shops and retailers that sell adequate, ready-made shelving units in a variety of materials, though choosing a bespoke option is the only way to truly find a solution that fits perfectly and looks spectacular in your home, office, or business. 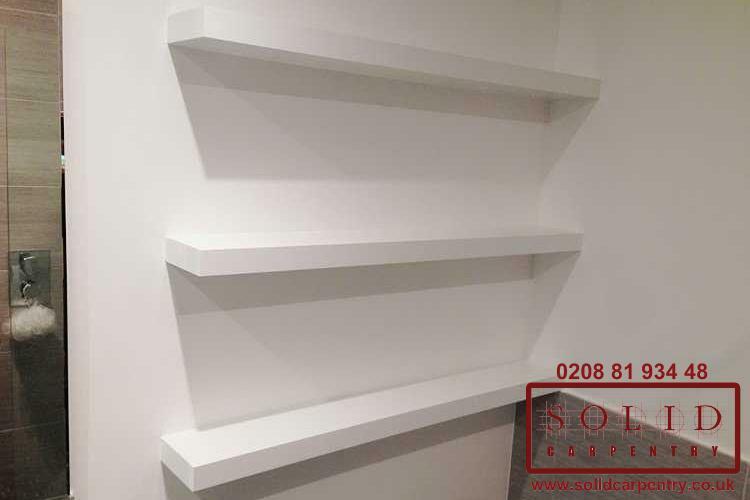 We can craft your unique shelving unit out of your choice of material and in your selected finish to ensure it truly complements the design and layout of your room. 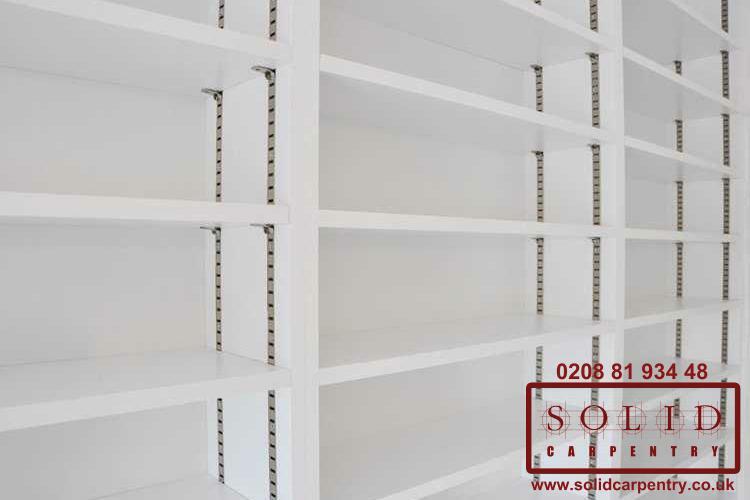 Don’t opt for the ordinary, contact us today for your free no-obligation quote and discover just how an expertly crafted, beautiful bespoke shelving system can transform your space.